Using a stand mixer or electric mixers, cream together sugar, brown sugar, shortening, and peanut butter. Add eggs. In a separate bowl mix together dry ingredients. Then, add dry ingredients to wet ingredients and mix until well combine. Form dough into walnut size balls, then roll each ball in sugar to coat. Place balls of dough on an ungreased baking sheet and bake at 350 for about 8 minutes. 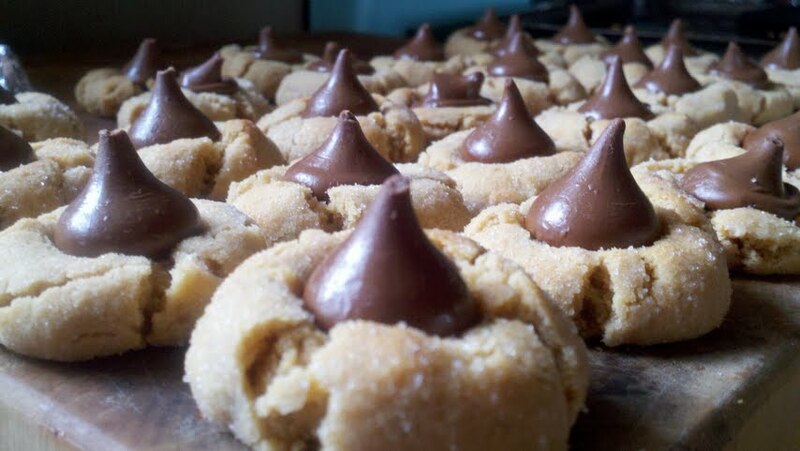 Remove from oven and press a Hershey Kiss down into each. Let cool.